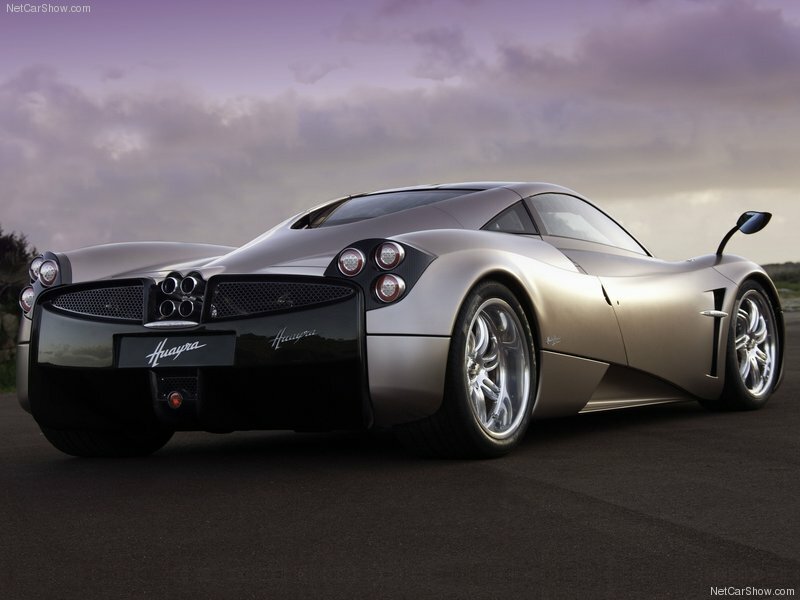 The body of the Huayra is once again a showcase of cutting edge automotive technology. 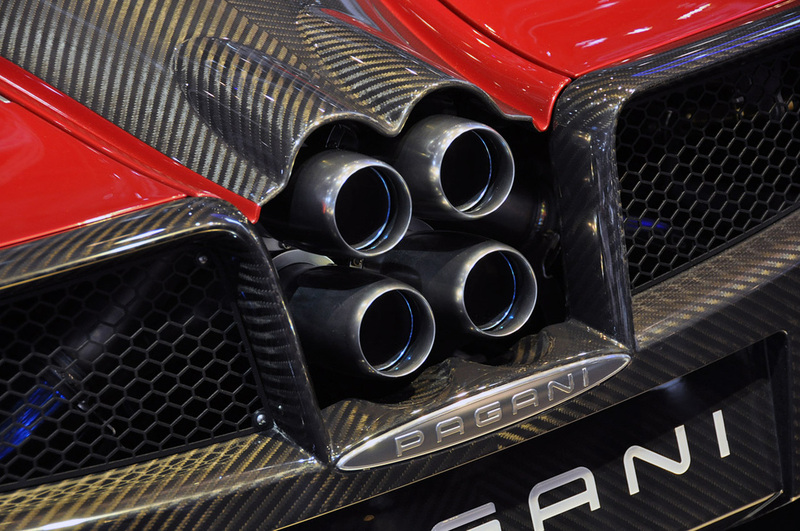 The Huayra chassis has a new titanium laced secret. Already seen on the final Zondas, this 'Carbon-Titanium' tub is as strong as conventional carbon-fibre but the added titanium gives the structure some elasticity in one direction, making it less likely to crack on impact. 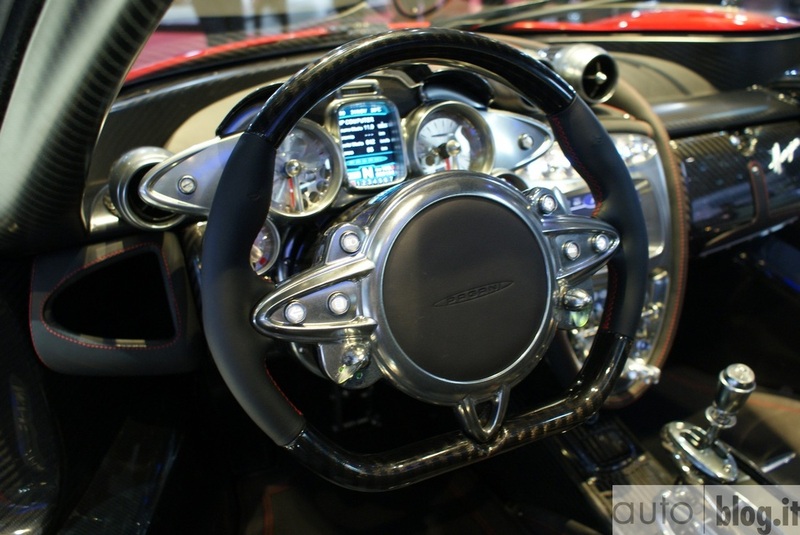 Just like the Zonda, the Huayra features an interior that is a pure work of art. It is a combination of the finest leathers and lightweight materials like carbon-fiber and brushed aluminum. Many of the details are exquisitely shaped, including the fact that ever nut and bolt on the Huayra has the Pagani insignia on it. You can see that the carbon weave runs in the same direction, even between the doors and body, that is just amazing. The cabin is a leather, carbon fiber and aluminum cocoon of obsession, just check out some of the images below for proof. Thanks to the extensive use of lightweight materials and careful engineering, the completed Huayra tips the scales at just 1,350 kg and with over 750hp you are talking Veyron levels of performance and it is rear wheel drive, unlike the Veyron. The performance has been described by some automotive journalists as “violent is the best word to sum up a trip from 1500 to 6500 RPM” or “the engine is just phenomenally powerful, and when it’s delivering the full 737lp ft of torque, it scrambles your brain”. And the compliments keep coming; "Nothing will ever be the same again, not once you've experience the ferocious Pagani Huayra" and "a waver of turbo boost sneaks up from behind you, hooks its fingernails into your nostrils and pulls your head back hard". 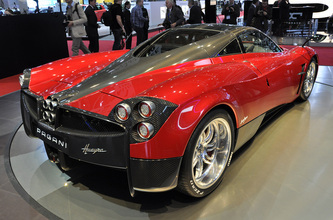 I guess Horatio Pagani did it again, he built another cracking supercar. The Huayra feels properly fast and engaging, yet it manages to deliver a stable, supple ride without feeling "old mannish." The throttle response from the AMG-sourced 6.0-liter twin-turbo V12 is excellent, but the seven-speed single-clutch flappy-paddle gearbox has its fair share of low-speed refinement issues and the steering is chastised for being a bit slow and heavy. Supreme performance and astonishing looks, there was only ever one contender for the Hypercar of the year award. It is not going to revolutionize personal transport, reinvent motorsport or solve the looming energy crisis. It is a machine so unlikely ever to be a real, material presence in most of our lives that it may as well be a unicorn. 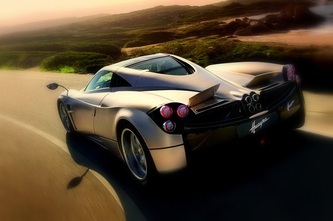 And there it is: the Pagani Huayra. Perhaps unicorn is the best way to describe it. The Huayra features an incredible twin-turbo, 6.0-liter AMG sourced V12 engine delivering an impressive 730HP and 730lb-ft of torque. The Mercedes-AMG V12 is once again a completely custom unit built for Pagani, with an internal designation of M158. In order to produce the required power AMG opted to use forced induction, in this case using two turbos. One of the key areas of development was throttle control and reducing the notorious turbo-lag. 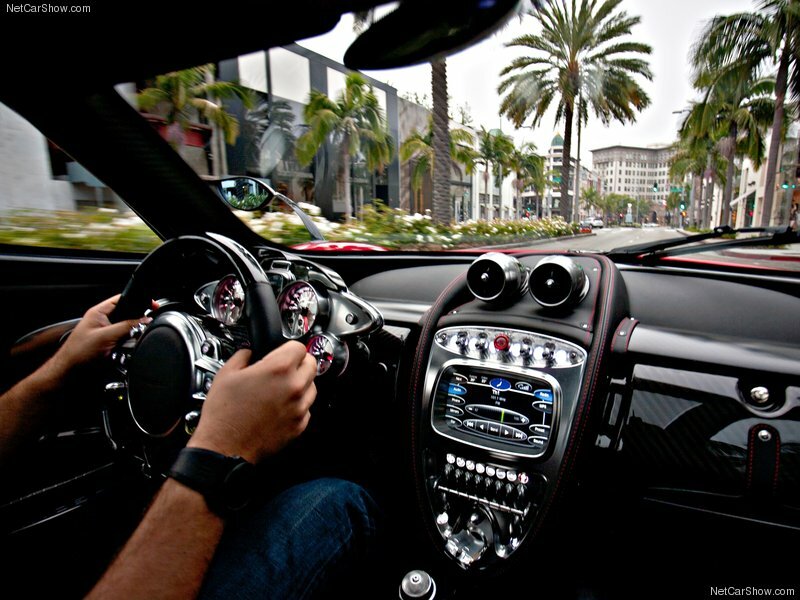 Unlike many modern sports cars, the Pagani Huayra does not use a dual-clutch gearbox. This engine is mated to an advanced seven-speed sequential transmission courtesy of Xtrac. The choice not to use a dual-clutch in oil bath was because it would lead to an increase in weight of over 70 kg (154 lb), negating the advantage of the ability of such transmissions to change gears faster. 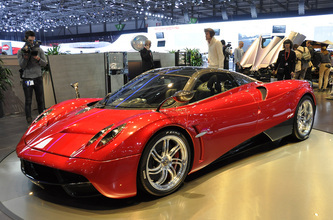 As a result, the entire transmission of the Pagani Huayra weighs 96 kg (210 lb). The transversely mounted 'box sports seven forward gears that can be actuated by paddles mounted behind the steering wheel. The Pagani Huayra can hit 60 mph in around 3 seconds before hitting an impressive top speed of 230mph. 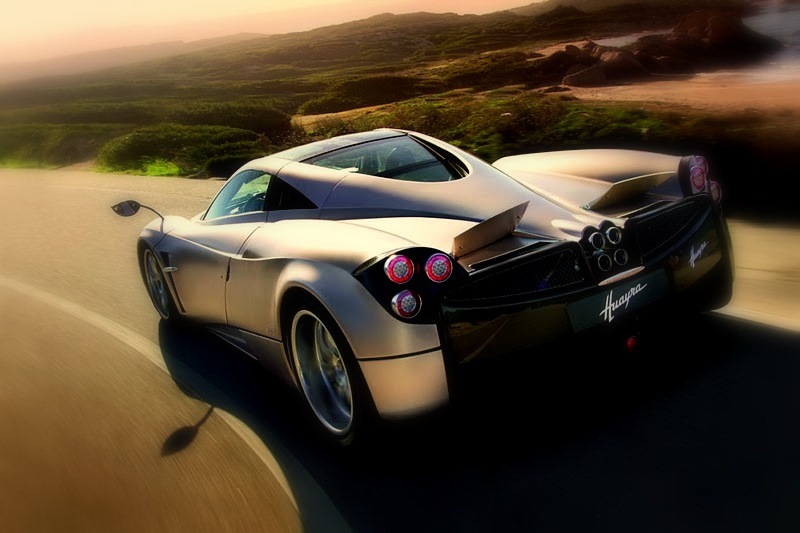 Using Pirelli tires, the Pagani Huayra is capable of withstanding 1.66g of lateral acceleration. Should be fast enough for most. A no-nonsense, base Huayra is priced at €1,050,000 - or approximately US$1.4 million. So far, you've either fallen off your chair or you're saying to yourself, "that's not bad". We agree with the latter, not bad when you consider the amount of power, the price for the competition and the fact that you are indeed buying a Pagani supercar, something very few people in the world will ever get to do. We're afraid that Pagani has also taken a leaf out of the Mercedes and BMW playbook by making their options a little too pricey. 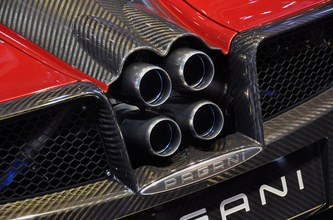 Want a full carbon body work look, that's an extra US$150k. Custom colored wheels will set you back about US$5k and premium leather interior over US$10k. We've always said that if you're going to buy an ultra exclusive, mega awesome exotic sports car, then you should just go for it. Forget the base price Huayra at $1.4 million and budget a cool $2 million to be safe. Would it surprise you to learn that it’s pretty bloody wonderful? The drama starts as soon as you lift the gullwing door and take in the simply glorious interior. Some might find it a tad ornate but when you slide into the driver’s seat those worries disappear and a smile cracks across your face. The detailing is exquisite, the materials – titanium, carbonfibre, leather – are sumptuous and the driving position is perfection. The engine isn’t as musical as the old V12, in fact it’s more industrial, deep and booming. The ride remains supple but there’s a sense that this is a slightly heavier, less nimble car than the Zonda. 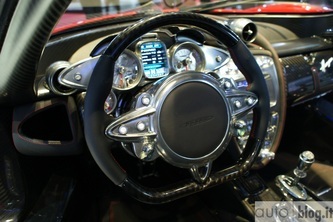 Some of the detail that used to bubble into your hands in the Zonda is dulled just a little. 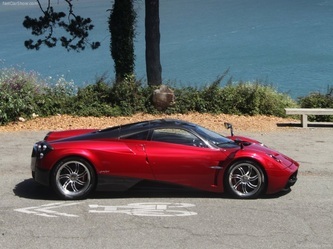 However, that means the Huayra is easy to pootle around in; it pulls the luxury trick off very well. The gearbox is superb as soon as you’re rolling but it isn’t as smooth on take-off as the best twin-clutch ‘box. Start to use the performance on offer and the Huayra quickly shakes-off any sense that it’s more GT than supercar. The engine is simply outrageous and has fantastic throttle response for a turbocharged car. Performance wise you’d need a Veyron to go quicker and incredibly it puts down its power with almost no wheelspin. It’s uncomfortably fast and the balance allows you to really use the power, too. There’s a bit of understeer but that’s just what you want with 737lb ft lurking nearby and should you feel mad/brave you can tweak the car into a bit of oversteer – just beware as the boost builds so quickly a little turns into a lot very, very fast.